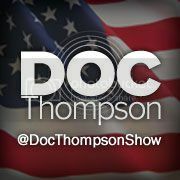 LAID - Legally Armed In Detroit (Michigan CPL CCW Classes): Rick Ector to Discuss Firearm Bills Being Considered In Lansing on the "Doc Thompson Show"
Rick Ector to Discuss Firearm Bills Being Considered In Lansing on the "Doc Thompson Show"
This afternoon at 5:00pm - December 12th, 2012 - I will make an appearance on the "Doc Thompson Show" on radio station WXYT at radio frequency 1270 AM. We are probably going to do two live segments. I will be interviewed live over the phone. During the live segments over the air we will discuss two gun rights bills that have been discussed in the media all across the state of Michigan - Michigan HB 5225 and Michigan SB 59. These two bills, if enacted as originally drafted, would abolish Pistol Purchase Permits, abolish Pistol Registrations, and allow more citizens to carry concealed firearms in so-called "Pistol-FREE Zones.' Currently, Michigan is one of only five states that still require handgun registrations.